This list really helped me doing some artworks that I am doing, thank you for all these positive words. So nice to here about this Gage. It is awesome to feel that your work is appreciated. I am putting efforts in Positive Words Research since the beginning of 2013. 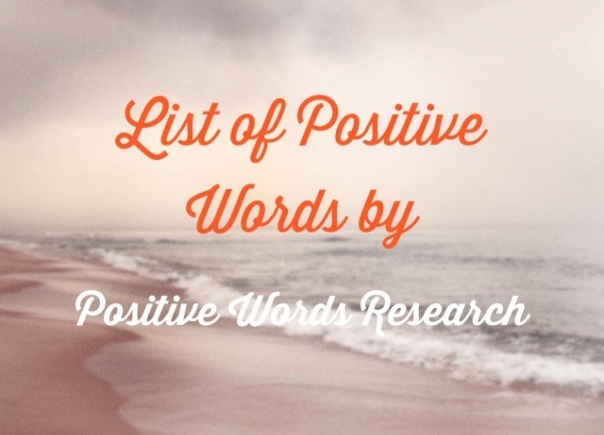 I am constantly finding new positive words and adding them to this list. And also doing other projects for positive words like: an online shop Blessima that sells products with positive words, an Apple App called Positive Words Research which is free and you can download now and an application called Positive Words Researcher which analyzes text and outputs positive words. It is also free, you can try it yourself. Have a nice day Gage! this is a great site for assignments. © 2019 positivewordsresearch.com. All rights reserved.